VRR is a friendly, relaxed, welcoming club that caters for anyone and everyone who likes to run, or walk, regardless of ability or age. Our runs are accurately measured and well marked, but more importantly, you’ll feel welcome from the first time you run with us. For us, participating is what’s important, rather than whether you finish first or last, so we look to ensure that you enjoy running (or walking) with us, and that you look forward to our next event, being with people who enjoy sharing that experience with you. As President of VRR I welcome you to our club. When did the Victorian Road Runners (VRR) begin? What is it all about? The first handicapped Tan Time Trial was held in May 1983, and this tradition continues on the first Saturday of every new season – Winter, Spring, Summer and Autumn. In an 8 km handicap event, everyone is given a handicap and a staggered start enables all runners to finish at approximately the same time. The handicap events are always accompanied by refreshments. Where do I find out about VRR events so I can plan my training for them? Check out the calendar on the website. It is usually updated at the beginning of each year. How do I enter VRR events? For Tan Time Trials, simply turn up and run. There is no registration on the day. For club runs held at various parks around Melbourne, allow 10 to 15 minutes to fill in an event registration form upon arrival and have the right cash available to pay your modest entry fee? There is no entry before race days at VRR events. If I become a member, what are the benefits? Membership will give you entry discounts at club runs and your email address will be added to the distribution list for the monthly electronic club newsletter, ‘Stride Out’. Are there prizes for achievement at VRR events? At club runs, medals are given to first finishers in adult, senior and junior categories. No prizes are given to first finishers in Tan Time Trials. Each year, prizes are given to male and female club members who accumulate the most points in club runs and Tan Time Trials, points being determined by participation and achievement. Tell me more about the annual Dinner? Members and friends are invited to attend an annual dinner in March each year for a modest cost. In recent years the event has been held at the Caulfield Racecourse. How large is VRR membership? 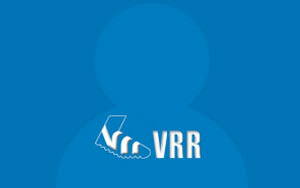 VRR has had around 300 members now for many years. Some members move on; others join. We have several members who no longer run but stay connected. 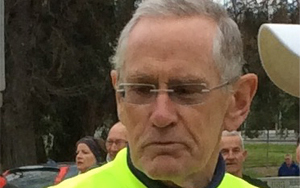 Many older members prefer to walk rather than run, and some have scaled down their effort from the 8 km to the 4 km event. Do I have to be a fast runner to join VRR? No – definitely not. Certainly we have some superstars who run quickly and long in club events and marathons, here and abroad. 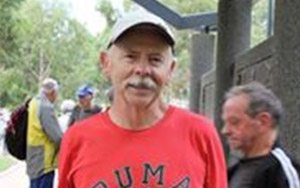 But equally, the club is home to many recreational runners and walkers who like nothing better than to get some fresh air, fitness and friendship on a Saturday morning. I am visiting from overseas or interstate. Can I enter a VRR event? VRR welcomes overseas and interstate visitors with open arms. There is no better way to begin a marvellous weekend of sightseeing, eating and enjoying everything Melbourne has to offer than with a run or walk around the famous Tan track at a Victorian Tan Time Trial. Can I participate in VRR events if I am not a member? Yes – VRR events are open to everyone. But we encourage membership to help keep the club going for the next 30 years! If I am a member of VRR, can I also be a member of other running clubs? Yes – definitely. Many VRR members are enthusiastic members of parkrun, Masters, Athletics Victoria, Melbourne Marathon Spartans and APSOC clubs. Check links on this site or talk to members to check out what is possible. Is VRR run by volunteers? Are members expected to be volunteers? VRR events are run by a volunteer committee and volunteer helpers from the ranks of club members. There is no compulsion to volunteer – but it is very worthwhile and eases the load on the members and committee who volunteer week in, week out. Talk to a committee member at an event to see how you can become more involved. There are some necessary costs – publishing, webpage, insurance, postage but volunteering keeps these costs to a minimum. What is the VRR Committee? How is it formed? At a quick Annual General Meeting held after a Tan Time Trial in April or May each year, committee membership is confirmed and vacancies filled by nomination and voting if necessary. Many of our present Committee have served for 10, 15 or 20 years. The club is very blessed to have them. How do I get to a VRR Tan Time Trial by public transport? If coming by train allow about 20 minutes to walk from Flinders St. Allow 10 minutes if alighting from a tram along St Kilda Road. Is there parking if I travel to a VRR Tan Time Trial by car? Yes. In streets surrounding the Botanical Gardens – but look closely at parking signs – in some places the spaces are free, while in others there may be a parking charge. Allow 5 to 10 minutes to walk from your parking space to the event’s start, as we cannot all park right next to the meeting point. Can I store my gear securely while I run? No. The club takes no responsibility for tops, tracksuits etc left near the event start while you run or walk. While we have little if any record of theft, common sense dictates that you don’t leave valuables in these items of clothing. But we do have a club key bucket in which you can deposit your car keys. Ask a volunteer official when you arrive. Is there anything more I should know about VRR and its Tan Time Trials? Be excited. You are about to experience one of the most amazing running experiences Melbourne has to offer. After Central Park in New York and Hyde Park in London, there is no more iconic training track in the world than Melbourne’s Tan. The VRR Tan Time Trials are a perfect setting in which to enjoy this unique experience.